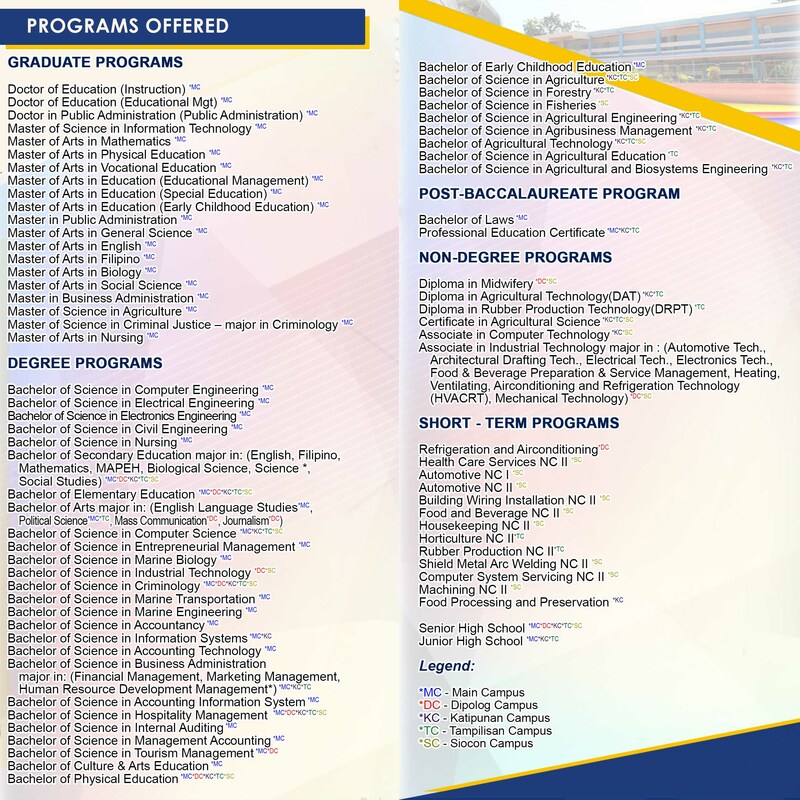 Jose Rizal Memorial State University, as a determined institution in developing communities holistically, implemented extension programs and services targeting the economic, social, emotional, educational, and physical needs of these communities. 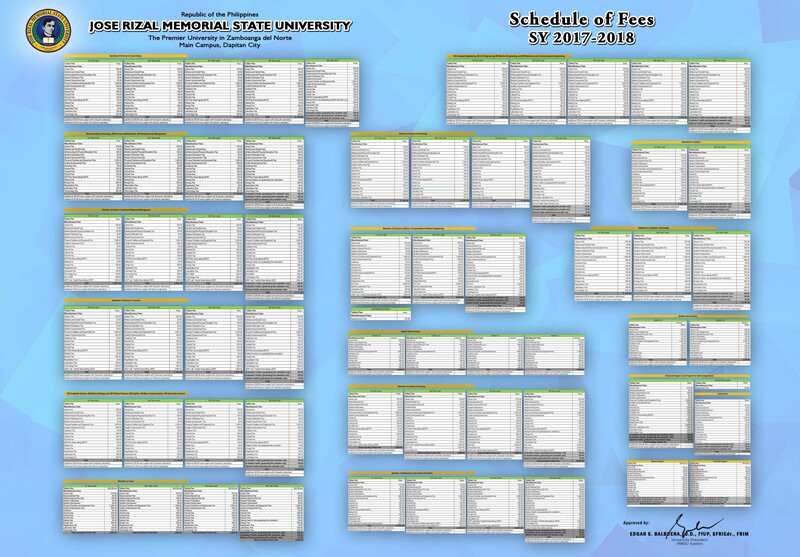 Each College of the University is mandated to implement at least one extension program every semester. Extension programs and services have been conducted in research-driven and community need-based practices. These areimplemented according to the capacity of the college to deliver them effectively. Extension, aside from being mandatory to the University, has been performed by every faculty as part of the responsibilities and as an educated individual that his/her capabilities must be extended to the communities where his/her skills are most needed. The University is also maximizing its partnership to local, regional and national government line agencies and private sectors to strengthen its full-force extension workers and extend its geographical reach of adopting communities. 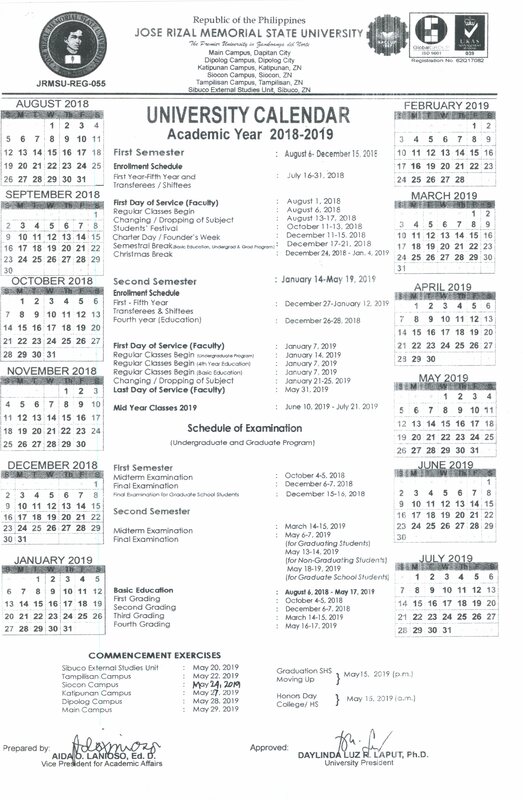 This school year, there are over forty (40) linkages that the University has strengthened. Coordinating with government line agencies and private sectors which have direct control to most of the communities, enables the University to widen its opportunity of rendering extension programs and services not only to its vicinity but also even beyond its area of responsibility. Due to the known active services that the University can offer, it gained trust from the communities and invited external funding agencies to support its extension programs. Asa result, it extended the services even beyond the border of Dapitan City. At Buena Suerte, Mutia, Zamboanga del Norte for example, Main Campus has periodically conducted literacy program and livelihood training. It also ventured services to the Municipality of La Libertad, Zamboanga del Norte through economic intervention for poverty reduction in partnership with DOLE, DTI, DOST, DILG, DDPKaRoMa, LGSP – LED, DA, BFAR, PGO, DENR, TESDA, FIDA,and PCA. The University with its commitment to deliver research and demand-driven extension programs for the benefit of the community has truly gained the public trust. Its capacity to spearhead and offer literacy program, values formation, livelihood training, health and sanitation, and environmental seminars has been recognized by the communities in Zamboanga del Norte and its neighboring provinces. There are 39 extension programs duly approved and adopted during the school year 2011-2012 in collaboration with the local communities, government line agencies and private sectors. With these extension programs, 255.25 days have been spent benefiting over 2,268 beneficiaries. This achievement would never be realized without the collaboration and assistance of 20 Local Government Units.